Home » Events » Free – Add Your Community Events to Our Calendar! 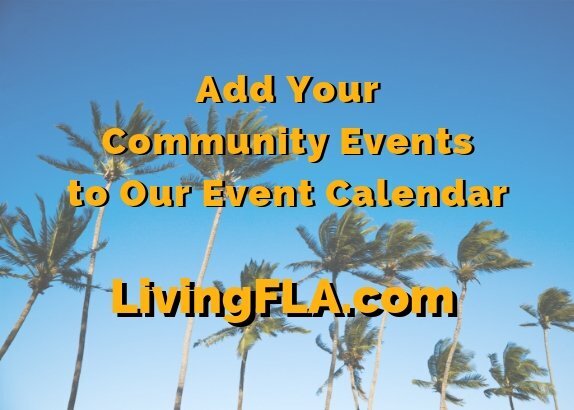 Did you know that you may add your community events and offers to our LivingFLA.com online Calendar? We have a simple form that allows you to quickly and easily post your events. You can even add an event image 500 pix x 500 pix jpg) and edit you’re events at any time. If you don’t have time to add your events to our calendar we can do it for you!